In a year where Pixar finally released their troubled child in The Good Dinosaur, it was a relief that they also released one of their very best efforts. While falling just a little short of Up, Wall-E, or the final Toy Story, in my personal list of favorites, Inside Out definitely deserves a place at Pixar's top table. It takes us inside the mind of a young girl who has to move to a new city, and follows the misadventures of the personifications of her emotions. Joy, Sadness, Anger, Fear, and Disgust. 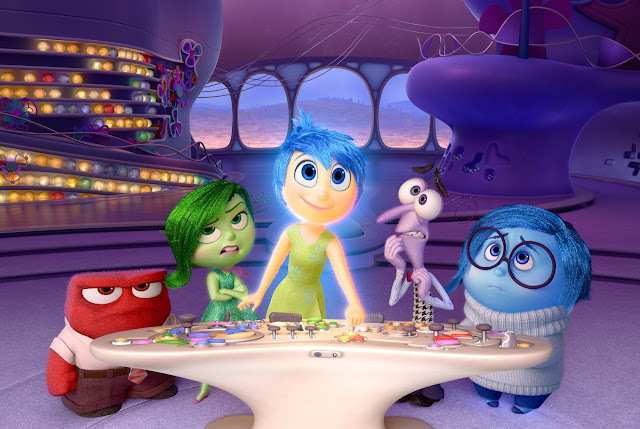 It's very much a children's morality play, but as with all the best Pixar movies, it also resonates with adults and parents. In many way the colorful atmosphere and childhood themes hide a story that has a deceptive maturity to it. In many ways it reflects on what makes for important memories in ways that only adults can. It's a film about embracing emotional maturity. It might be a touch more predictable than Up, a little lighter on the laughs than Toy Story, and not quite as 'fun' as The Incredibles, but it's also more cohesive. It's a smarter script than Pixar have pulled off to date, and actually has it's roots in genuine psychological theories. It's charming, funny, and engaging for children and adults alike, and that's something Pixar do better than just about anyone.